this is going to be Melissa's. 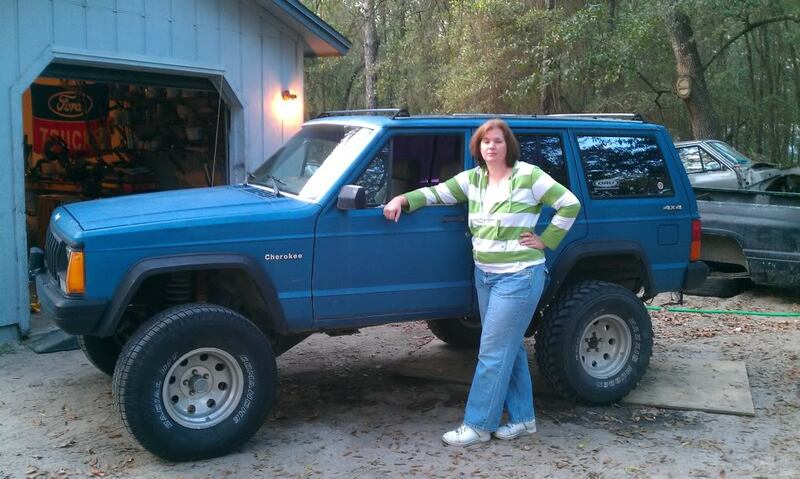 it is a 1989 cherokee with a 4.0 and automatic. it has a 6" oru lift,33x12.5-15 tires,posi-lock axle locker,cold air intake,eagle alloys 15x8 wheels. it needs some tlc but otherwise looks to be a good platform for melissa's first real 4x4. more to come later. is it gonna get camo'ed ?